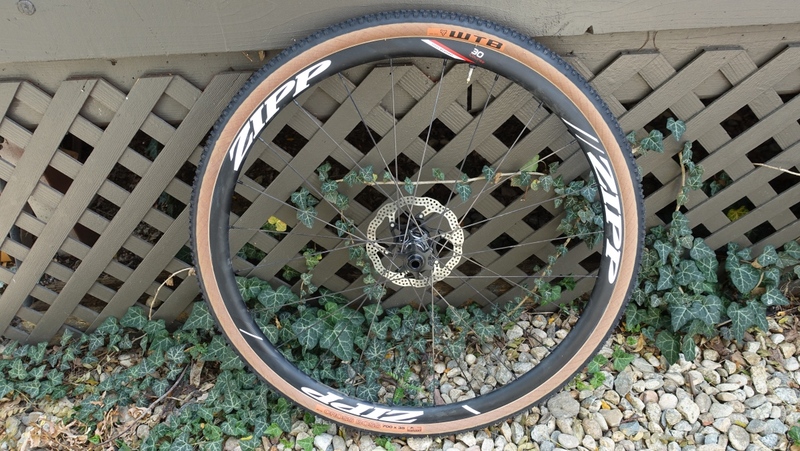 The WTB Cross Boss 35 is a great tubeless tire option for cyclocross racing and training, and has real promise as a mixed surface tire. The WTB Cross Boss isn’t a new kid on the block, but it still delivers a great ride feel, excellent traction, and easy tubeless setup. But it does have its limitations for mixed surface riding in harsh terrain. Read on to find out more. The WTB Cross Boss isn’t a new tire. It’s been around for a few seasons now. 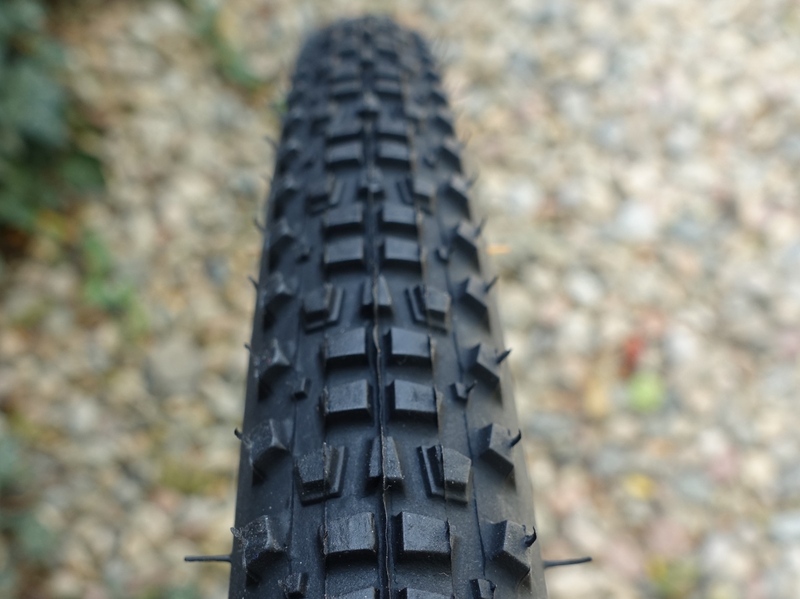 But for cyclocross racers looking for a good tubeless option, it’s a great tire. WTB Cross Boss set up is easy on most modern tubeless rims and it remains secure even at extremely low pressures. These are both important facts to mention because the ability to dial back the pressure is a boon for cyclocross race performance. The tread pattern works well even if it is quite a bit narrower than the tire’s casing. Thanks to the tightly spaced center knobs and more widely spaced side knobs, the WTB Cross Boss excels in conditions ranging from dry and dusty to damp and tacky. Labeled a 35mm tire, the Cross Boss does have a casing width that fits the badge. 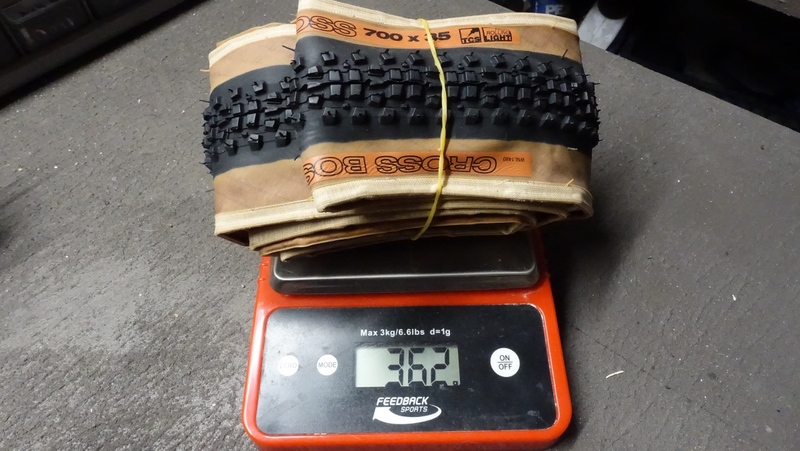 It measured 36mm wide on a set of Zipp Course 30 rims with an internal rim width of 21mm. What’s a bit strange is the narrower tread. It sits proudly atop the casing and measures just under 32mm. This delivers great straight-line traction because a lot of the tread is in contact with the ground at normal pressures. Where it gets a little weird is in hero dirt conditions where you want to lean the bike over and rail corners. The lack of a wider tread can leave the tire feeling vague. But thankfully this isn’t a going concern on most rides. 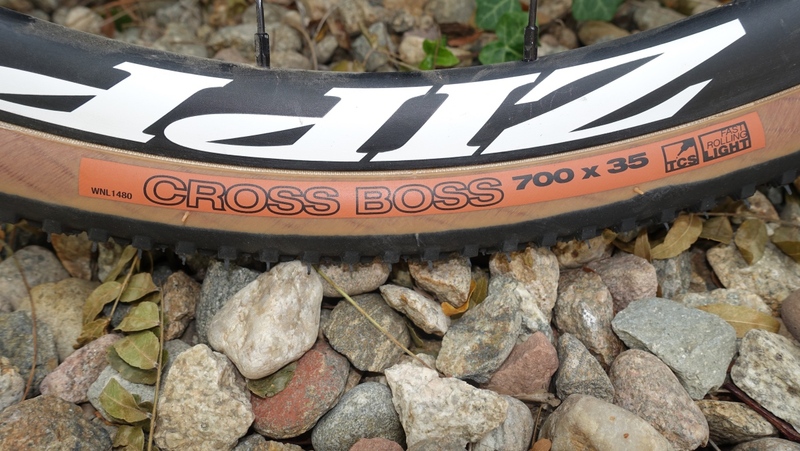 At only 362 grams per tire, the WTB Cross Boss is a lightweight tubeless cross tire. As a mixed surface tire, the WTB Cross Boss has real promise. It rolls well on tarmac thanks to the tightly spaced center knobs. It’s very light, weighing only 362 grams per tire. The casing, as mentioned above, is marvelously supple. This helps handling both on and off road. But it is also means that care must be taken in edgy, prickly areas. It isn’t the most puncture-resistant construction available. Additionally, the narrow tread doesn’t protect the sidewalls by wrapping around the sides. Again, this isn’t a deal breaker, but if you live in areas with sharp stuff there are better tire options on the market. 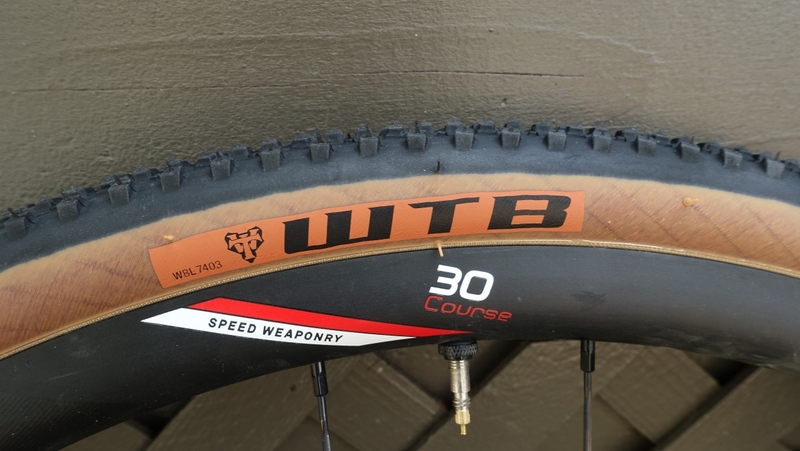 Where the WTB Cross Boss wins back some points is with the optional tan sidewall. A black wall is also available, but a skinwall classes up a bike like only white handlebar tape or a slammed stem can. They look equally at home on a vintage bike or carbon wonder machine. Few things lend a classy look like a tan sidewall. They are at home on vintage as well as modern bicycles. WTB’s cyclocross offerings are a little long in the tooth but still deliver good performance.